Holiday Memories: Blasts from the Past builds upon previous displays of electric model trains, period Christmas trees and toys, and other holiday nostalgia from the Postbellum to the 1960s. 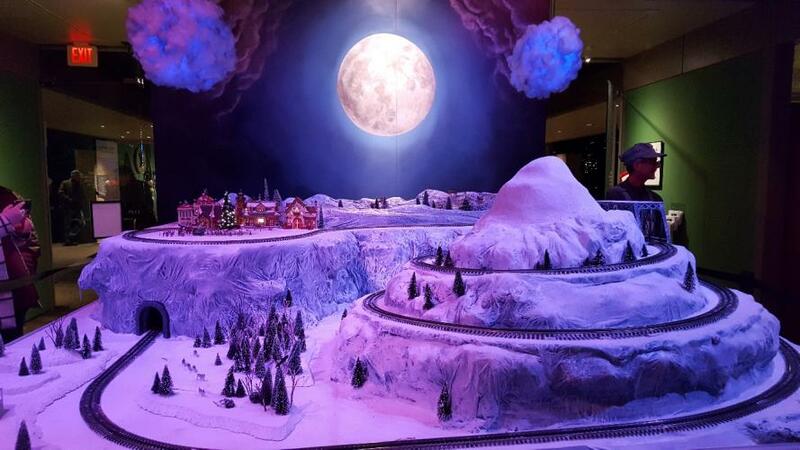 An expanded display of The Polar Express returns as does the collection of model trains that have become an integral part of the exhibit including Lionel, American Flyer, and Bachmann trains (HO, O, O27, S) inside the gallery and G-scale trains outdoors. Also a new display this year that is sure to delight! A full amusement park in miniature features miniature golf, three roller coasters, and a sleek monorail. All of the landscapes and sets (trains and amusement park) were designed, fabricated, and installed by Collections staff. A Light in the Darkness features the traditions of a Scandinavian holiday. As the winter approaches the days grow shorter and the nights get longer, especially for the people in the far north. The promise of light returning to the earth becomes very important. Light can represent many things, hope, warmth, and charity are a few. Just the sight of light on a dark night can lift the spirit. St. Lucia wore candles on her head to light her way as she carried food to hungry people who dwelled in the darkness. St Lucia has come to represent the start of the holiday season and the promise of lighter days ahead. We will be joined by The Gingerbread Ladies from Conway, SC. Recently featured on the Food Network, they will bring their gingerbread creations to Brookgreen for this special exhibit. Both of the exhibits are on view November 28, 2018 through January 1, 2019, in the Rainey Sculpture Pavilion.